Good morning everyone. We’re now on day 17 of our 20 day giveaway celebration of AnandTech’s 20th anniversary, so the end is quickly approaching. This morning’s prizes come from the mobile masters over at Motorola. 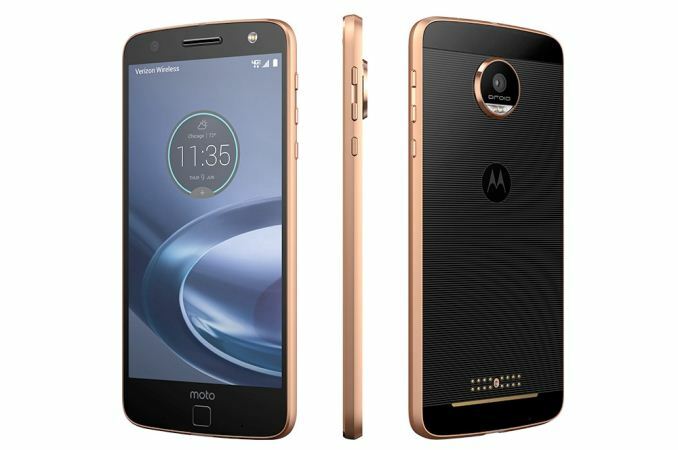 The long-time supplier of smartphones and smartwatches has sent over a trio of their latest Moto Z phones, so if you need an updated phone, this is the giveaway for you. 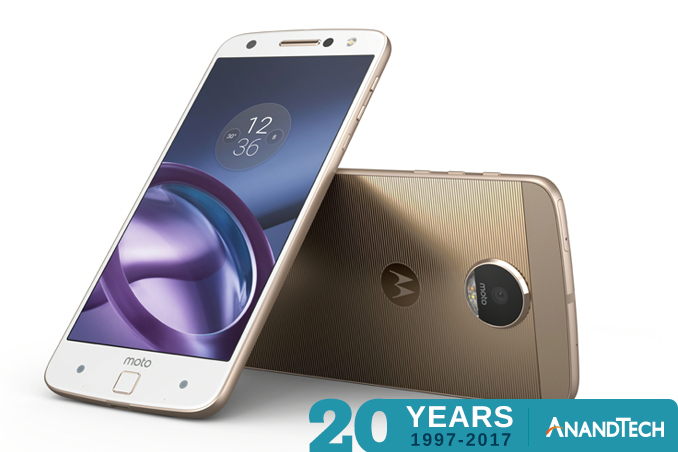 Altogether we have the Moto Z Force (Droid Edition), Moto Z (Droid Edition), and Moto Z Play (Droid Edition) to give away. Please note that these are all Droid Edition phones, which means they will only work on Verizon’s network. Starting things off, we have Motorola’s current flagship phone, the Moto Z Force. This phone is exclusive to Verizon, and is based around a Qualcomm Snapdragon 820 with all the trimmings, including 4GB of RAM and 32GB of UFS 2.0 NAND. The display is a 5.5-inch 1440p SAMOLED, and, unique to the Force, uses Motorola’s own ShatterShield display cover/reinforcement technology. Rounding out the package is a 21MP rear camera with OIS, and a 3500mAh internal battery. 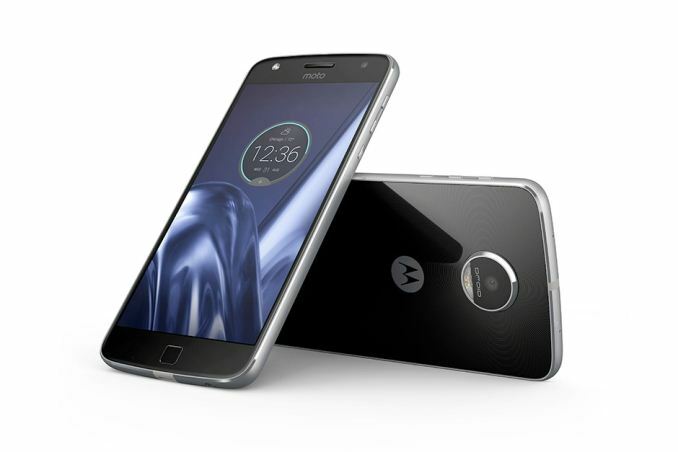 But the truly unique offering for the Moto Z Force – and the entire Moto Z family – is the Moto Mods system, which allows for hot-swapping additional modular pieces on to the back of the phone. Available mods include micro-projectors, a larger speaker, an optical zoom camera, and, of course, battery packs. All of these mods are held in place through a series of magnets, allowing them to be quickly added and removed as necessary. Next up we have the vanilla Moto Z. This phone is quite similar to the Moto Z Force, but makes a couple of small changes to differentiate itself, including quite literally being smaller. Under the hood the phone is powered by a Snapdragon 820 paired with 4GB of RAM and 32GB of UFS 2.0 NAND, and over the hood is a 1440p SAMOLED display covered in Gorilla Glass. However this phone is only 5.19mm thick and 136g heavy, having slimmed down by going with a smaller 2600 mAh battery, while the rear camera is now a 13MP sensor with OIS. And of course, like the Moto Z Force, the regular Moto Z works with Motorola’s Mods as well. Last we have the entry-level Moto Z phone, the Moto Z Play. Similar in design to its other Moto Z siblings, this phone is based around a Snapdragon 625 SoC, which is paired with 3GB of RAM and 32GB of eMMC NAND. The display is taken down a notch to a 1080p SAMOLED, however the rear camera moves up to a 16MP OmniVision sensor. Rounding out the package is a 3510 mAH battery, which combined with the lower power consumption of a 1080p display and the Snapdragon 625, means that this phone has a rather high capacity battery relative to what it draws at any moment. And as a Moto Z phone, the Play is Moto Mods capable as well.